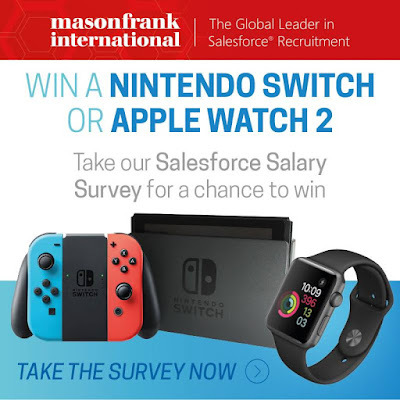 Nerd @ Work: [Salesforce] Mason Frank Salesforce Salary Survey: you play the game! 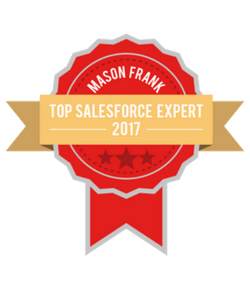 [Salesforce] Mason Frank Salesforce Salary Survey: you play the game! It’s that time of year again. The annual Salesforce Salary Survey is now open! Mason Frank, global Salesforce recruiters, have begun collecting responses for the their annual Salesforce salary survey! 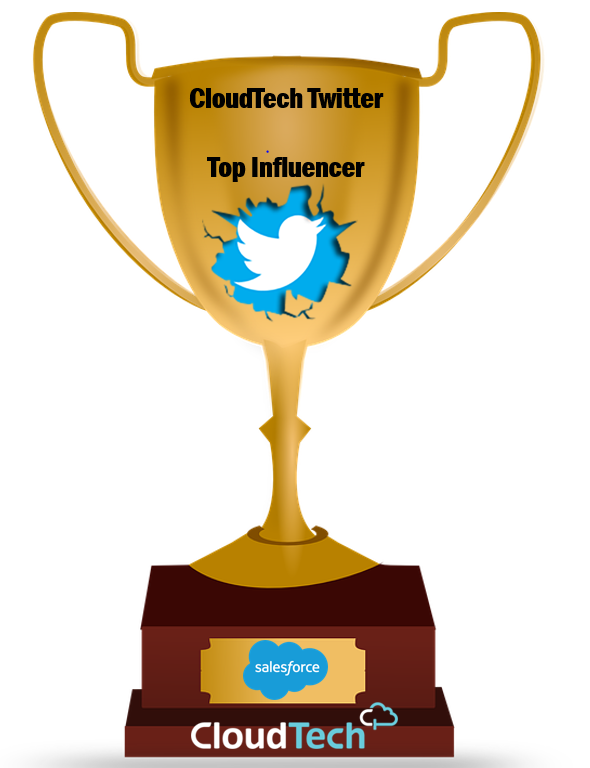 The survey is formed through collecting insights from people working with Salesforce all over the world and forms to create a crucial resource for the Salesforce industry. How much should you be earning in your job? How do your benefits and perks compare? Which factors can advance your earning potential? What is your Salesforce working culture really like? 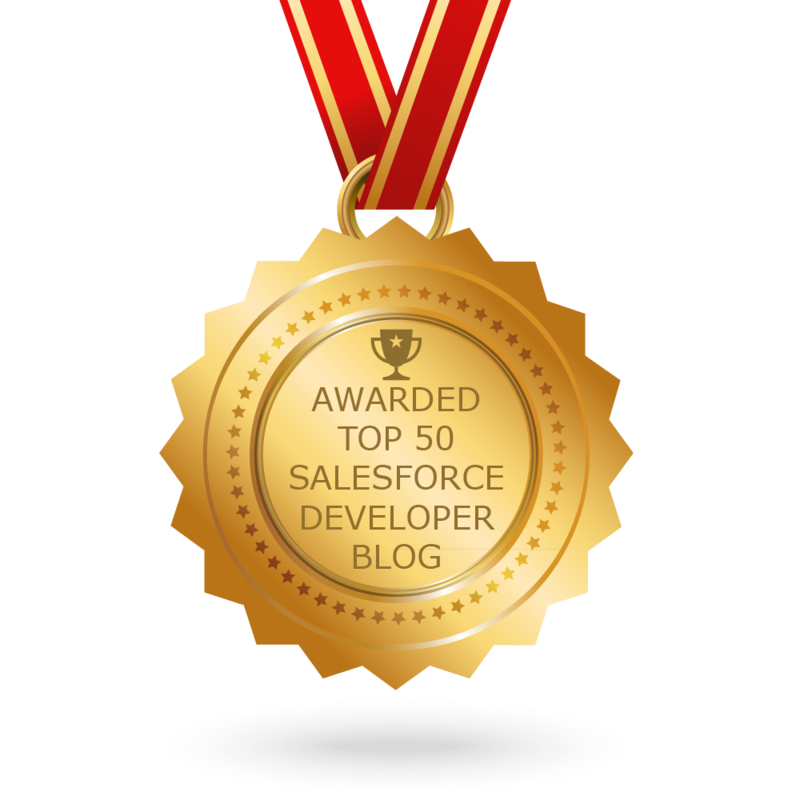 If you work with Salesforce, helps make the survey as accurate and representative as possible by contributing your answers. Take the survey and you'll also be entered for a chance to win either a Nintendo Switch or Apple Watch 2! The survey should take you no longer than 15 minutes and will close on the 29th September 2017. Mason Frank will be launching the results at Dreamforce 2017 and your own copy of the report will be sent directly to you. Thank you for your input and good luck!